Dr Hannah Lambie-Mumford, Research Fellow at SPERI, has been appointed as an expert member of the Food Standard Agency’s new independent Advisory Committee for Social Science. The Advisory Committee for Social Science (ACSS) will be an independent, expert committee of the Food Standard Agency (FSA), providing strategic advice, including how the FSA can bring together different types of evidence, approaches and information on a multidisciplinary level to address and evaluate strategic problems. Recruitment for the new ACSS was carried out through open competition and Hannah has been appointed for an initial term of three years. 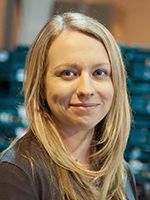 Hannah has undertaken research on food charity and food insecurity for funders including the Economic and Social Research Council (ESRC) and the Engineering and Physical Sciences Research Council (EPSRC). Find out more about her research here. In 2013-14 she was lead author of the Department for the Environment, Food and Rural Affairs (Defra) funded ‘review of food aid’. In June 2014 Hannah was awarded first prize for Outstanding Early Career Impact at the ESRC’s Celebrating Impact awards. Hannah sits on Child Poverty Action Group’s (CPAG) policy advisory committee. Her book Hungry Britain: The rise of food charity was published in 2017.